There are many types of defibrillators, including AEDs seen at many public places like shopping malls, community centers, churches, airports and even grocery stores. The more advanced defibrillators can be found in health care facilities. Each type is designed to perform a life-saving function. The men and women of HTM are vital when it comes to the maintenance and repair of these devices. We asked some experienced professionals to share their insights regarding these life-saving devices. 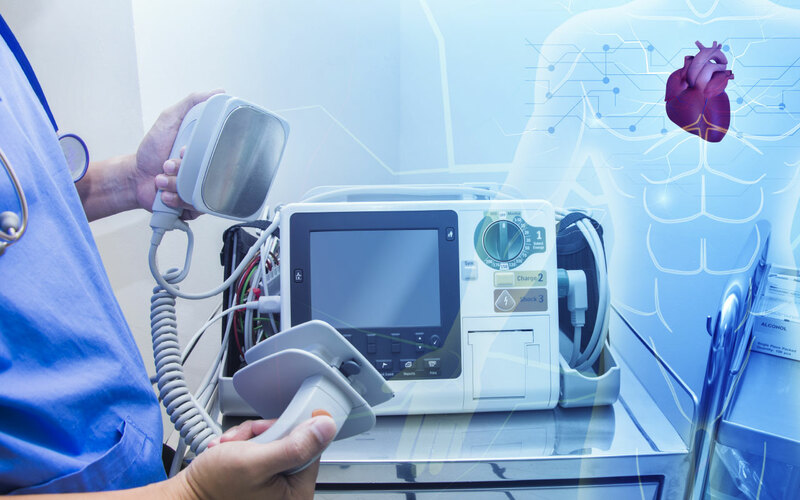 For this roundtable discussion on defibrillators, TechNation reached out to Soma Technology’s Ashish “Ash” Dhammam, RepairMED CEO Diane Geddes and Tenacore Holding’s Juan Ortiz. Q: What are the basic functions or features every defibrillator should have? Dhammam: Defibrillators today should have the ability to pace and if your facility hasn’t updated already, it is time to discard monophasic technology for bipasic units. We are also seeing an increase in facilities considering defibrillators which can monitor end tidal CO2. Geddes: A defibrillator should have an automated feature – AED. It should be easy to use and lightweight. It should have protective cases to prevent physical damage when dropped. It should have the capability to connect to the network for patient data recording. Ortiz: The basic functions should at least include two things, capability to deliver a consistent shock, and to monitor the heart rate. These are important because it is a matter of life and death and these devices need to be reliable. Q: What types of checks and regular maintenance do defibrillators require? Dhammam: Most units manufactured in the last 5-10 years have a self-test function, this is not to be confused with maintenance of the unit. All defibrillators should have their preventative maintenance done every six months, including battery life checks. In order to be prepared for every situation, every facility should stock a few extra batteries and supplies, like pads, at all times. Defibrillator simulators should always be calibrated per manufacturer specs. Geddes: Defibrillators should be maintained regularly to ensure integrity of the device by following at least the recommended preventive maintenance set by the manufacturer. Accessories such as the paddles, leads and sensors need to be checked as frequently as possible. Ortiz: Types of checks to do with every defibrillator to make sure they are functioning properly are: make sure the batteries are fully charged and when you disconnect the power that the unit still works, always ensure the shock delivery output is good and run a user test to ensure it can deliver shock. Check that all necessary supplies and accessories are present (for example, gel, electrodes, ECG paper, etc.). Q: What are the most important things to look for in a defibrillator? Dhammam: It depends on the facility that is purchasing the unit(s). Standardization is important to keep clinical training and supplies the same across the facility. Given how many FDA recalls have been issued on some products lately, it is a good idea to ensure that the model being considered for purchase has a good track record. If you are a smaller facility, like an ambulatory surgery center, it is a good idea to have an AED function on the defibrillator which can be used by BLS trained staff. Geddes: User friendly. Long-life backup battery. Ortiz: A few important things to look for in a defibrillator are: make sure there are no visual damages, check the battery, pads are in date and sealed and accessory equipment is present. Also, there should be a log of when the last time it was inspected or serviced. This is important to know if the device is functional to avoid any unusable devices. Q: How can a HTM professional extend the life of defibrillators? Dhammam: Ensure that the staff using the defibrillator is properly trained on handling, cleaning and storage of the device. It is also important to conduct regular PMs and inspections while maintaining a proper log of records/maintenance and supplies. Geddes: Set a preventive maintenance schedule that fits to the needs of the health care facility. Train appropriate personnel on the proper use and maintenance of the device. Ortiz: Biomeds can extend the life of defibrillators by doing a routine inspection and sending the unit in for a preventative maintenance check. We recommend defibrillators be inspected monthly, and sent in for preventative maintenance every six months. This will ensure that the device is always functioning. Q: What else would you like to add or do you think is important in regard to the purchase and/or proper maintenance of defibrillators? Dhammam: HTM professionals should keep track of all FDA and manufacturer recalls and updates. Geddes: Availability of field replaceable parts. Software upgrades/updates should be accessible to the end user. Ortiz: Always remember to do a thorough check of the defibrillators. We all have a common goal and that is to keep our patients safe.